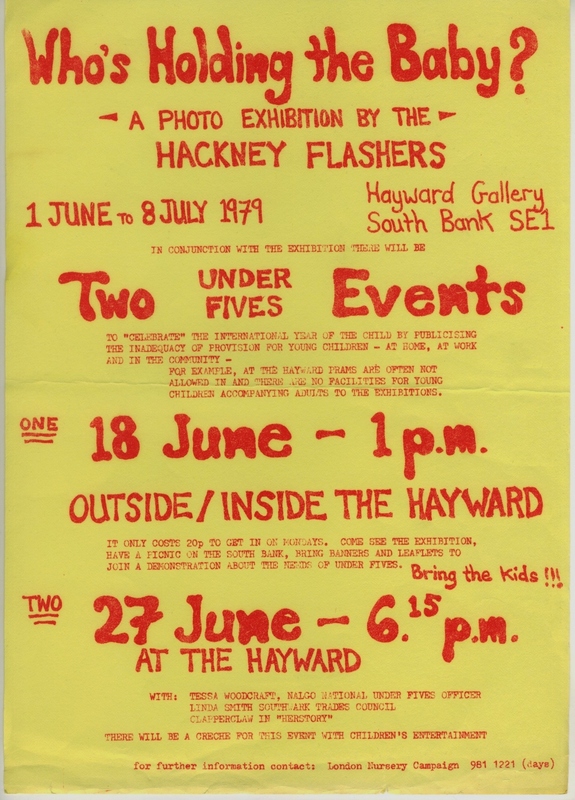 This page contains original archive material relating to the production and display of work by the Hackney Flashers. We hope to build up more material on this page over time. 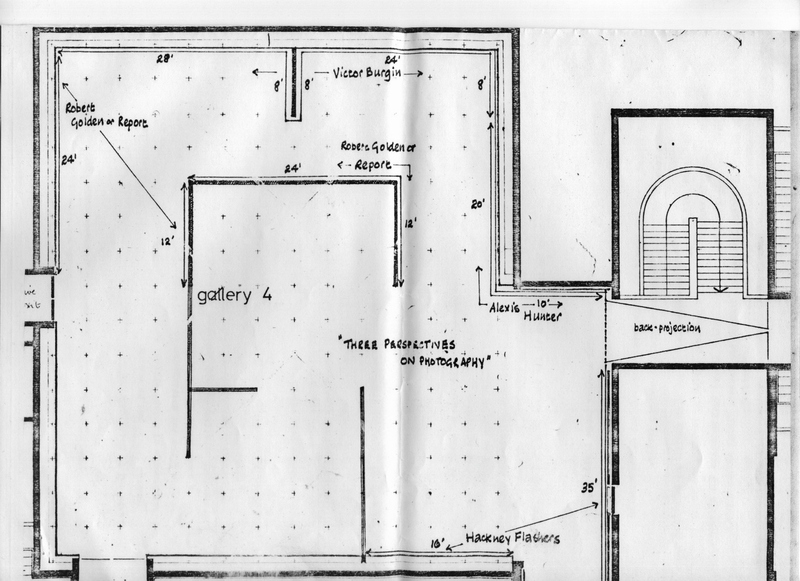 Below is a sketched plan of the layout of the Three Perspective on Photography exhibition at the Hayward Gallery in 1979. 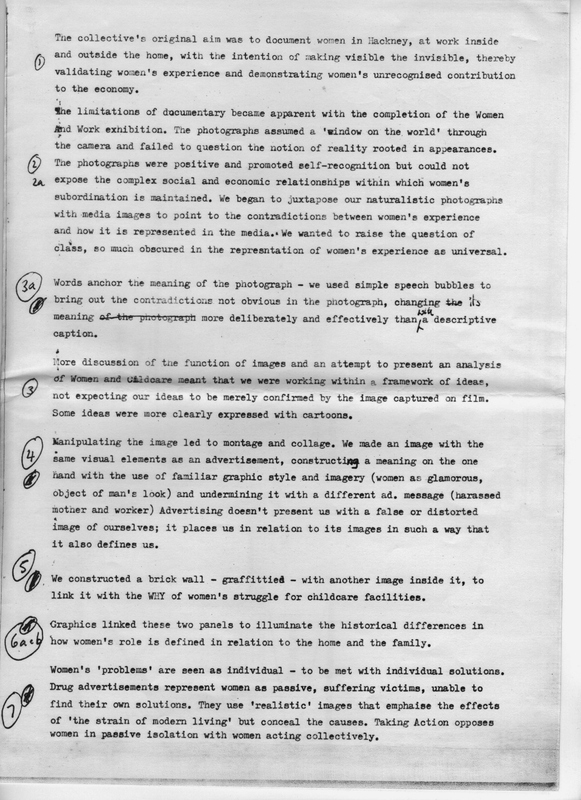 This was the Hayward Gallery’s first major photography exhibition and was organised by the Arts Council of Britain. 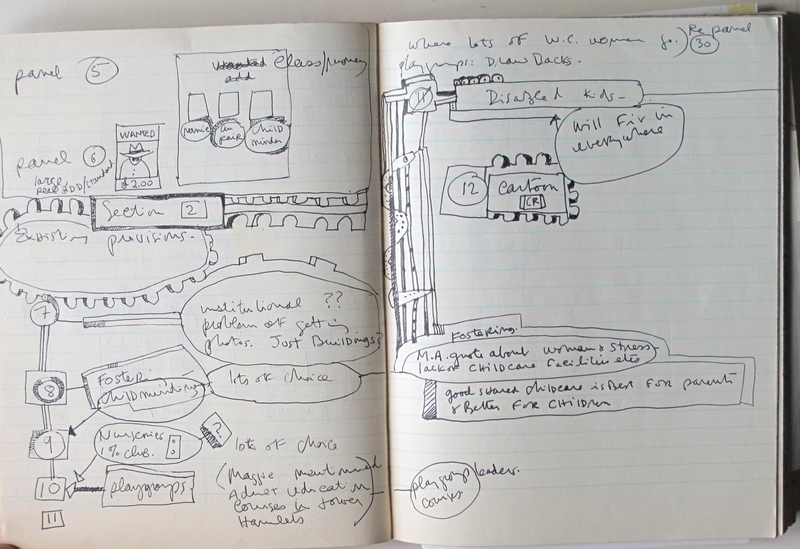 It was made up of three sections curated by John Tagg, Angela Kelly and Paul Hill. 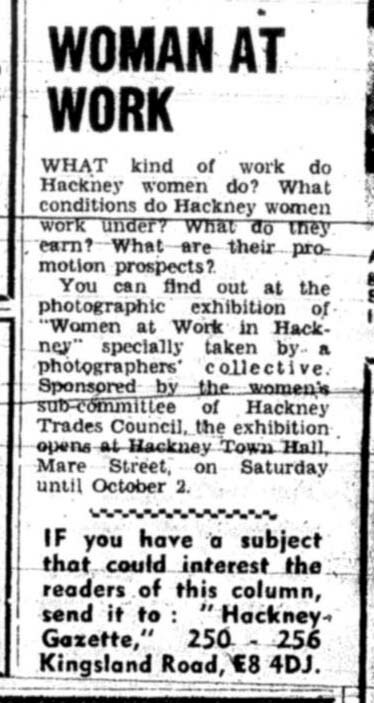 It included work by Victor Burgin, Jo Spence, Alexis Hunter, and the Hackney Flashers. 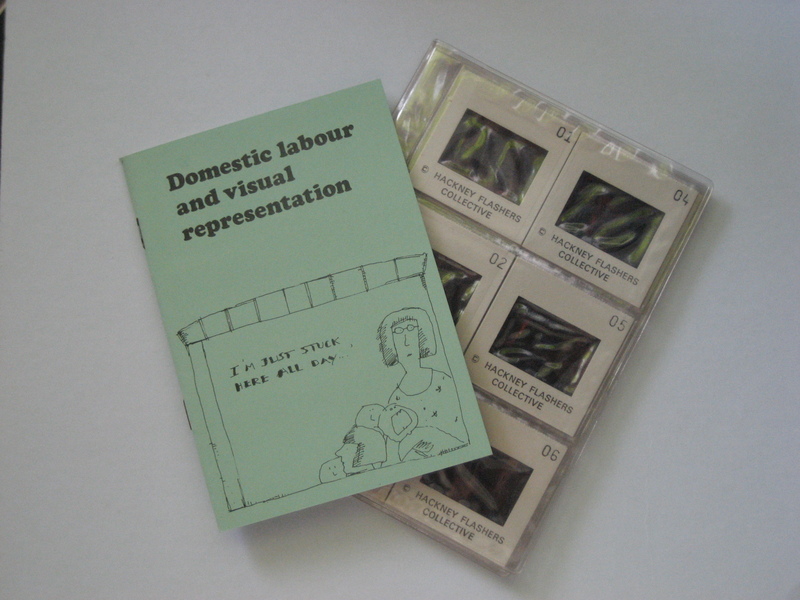 The Hackney Flashers exhibited their project on childcare ‘Who’s Holding the Baby’ at the Hayward exhibition. 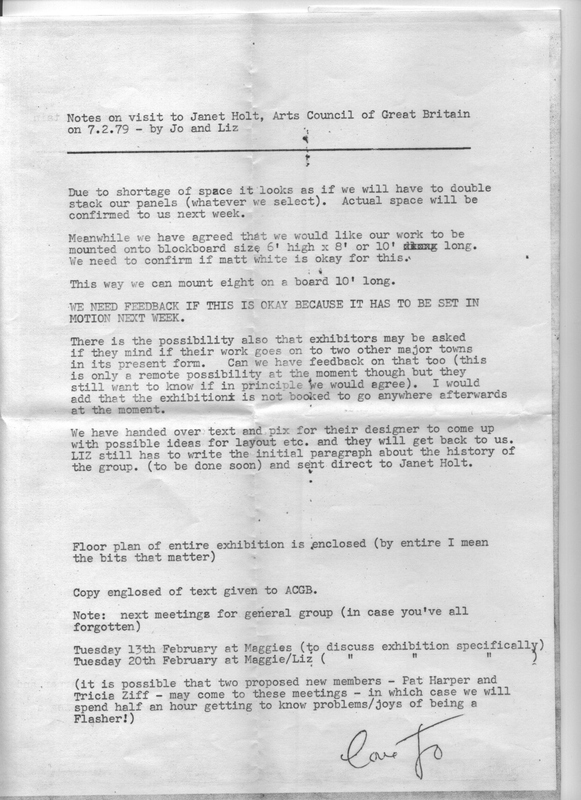 Below is a draft of the exhibition text which accompanied the panels that made up the project. 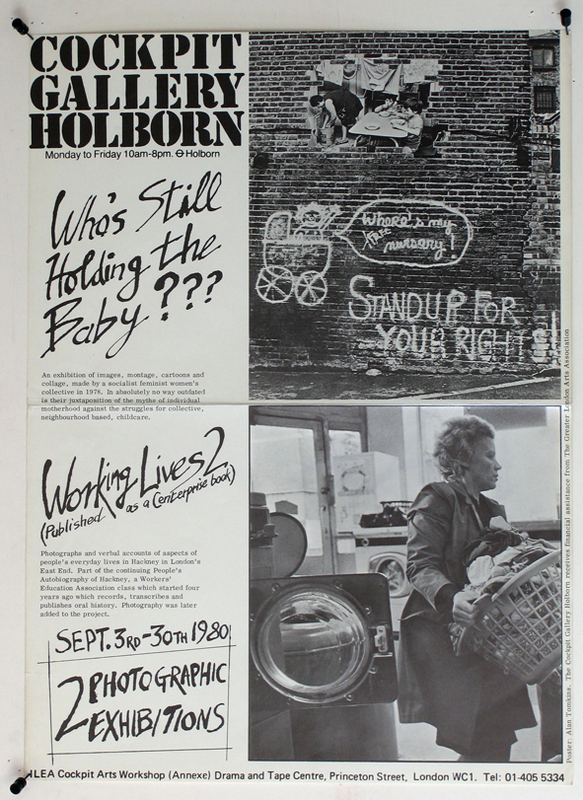 The poster below shows how the group organised events outside and inside the exhibition to continue to draw attention to the question of childcare. 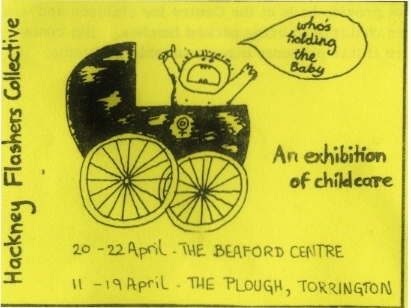 The exhibition was toured widely in community venues and as part of events like the ‘Images of Women in the Media’ conference in North Devon. 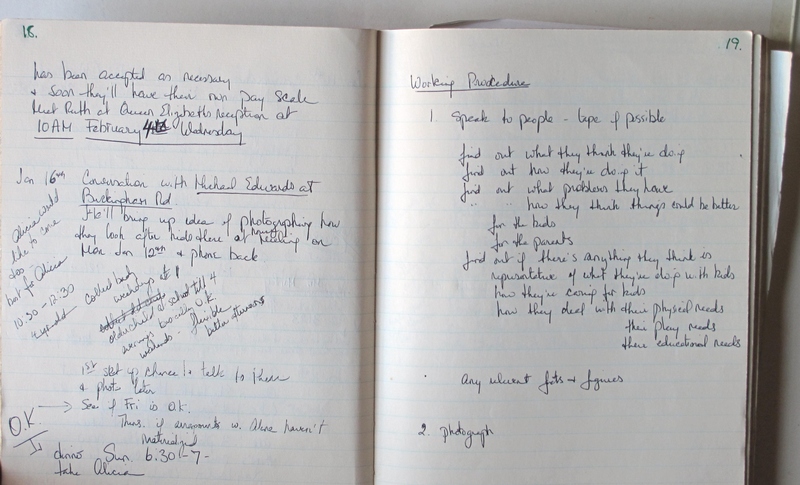 While working together the group kept a minute book which recorded their decisions and their process of working. 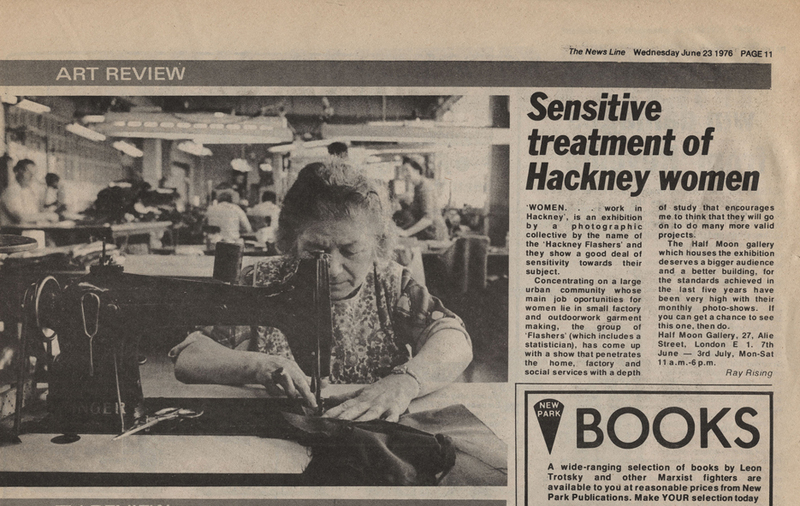 The first project made by the Hackney Flashers, ‘Women and Work’ was widely exhibited. 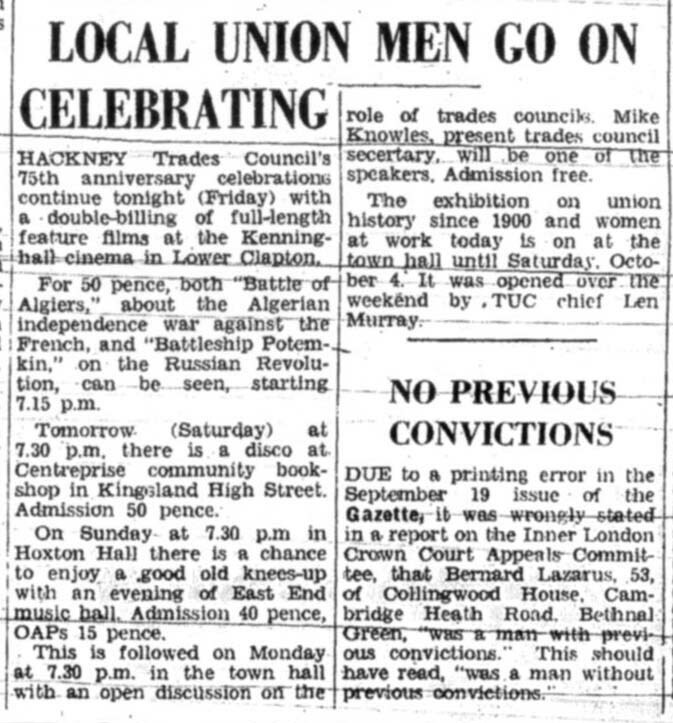 The newspaper cutting below reviews the exhibition when it was shown at The Half Moon Gallery. 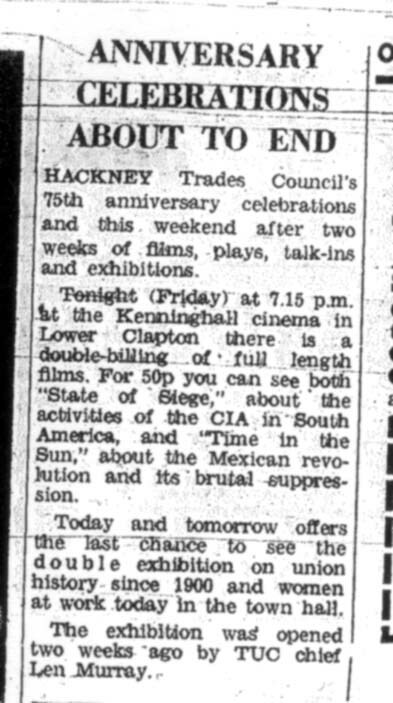 The first showing of ‘Who’s Holding the Baby’ at Centerprise in Hackney was featured in the Hackney Gazette in 1978. 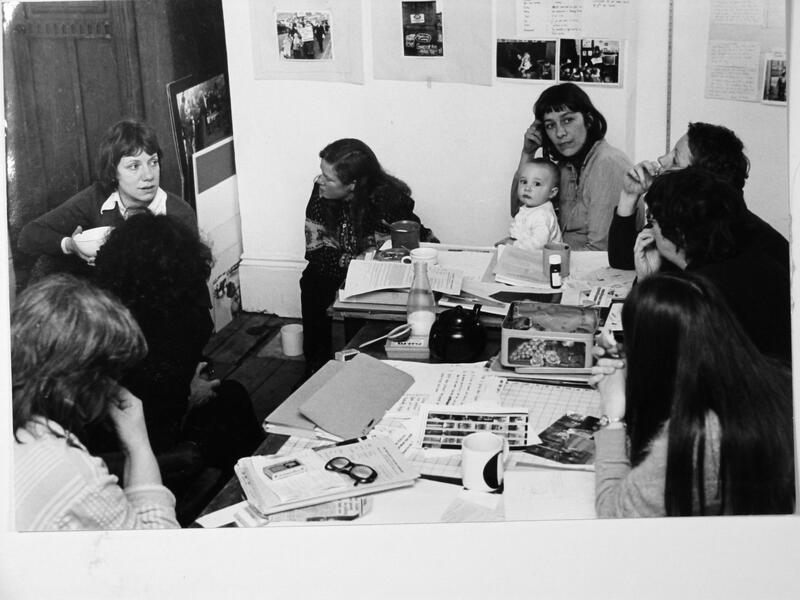 This photograph shows a meeting of the Hackney Flashers in on of the members’ homes in the 1970s. See our history page for more information on the of the group’s work and background.